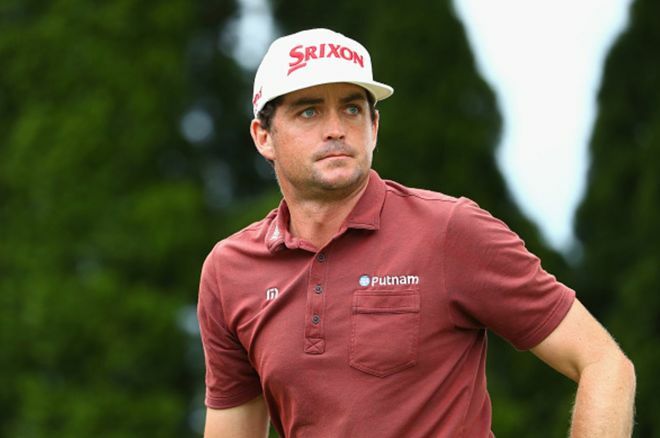 Keegan Bradley leads our top #DraftKings fantasy golf plays for the Greenbrier Classic. After taking the week off last week, we are ready to dive into DraftKings fantasy golf picks for the Greenbrier Classic. This is one of the worst fields of the year with ZERO players ranked inside the top 20 in the Official World Gold Rankings (OWGR). Patrick Reed, who has never finished inside the Top 25 here, is your highest salaried golfer this week and ranks 21st in the OWGR. The Old White TPC course plays host to the Greenbrier Classic and it plays around 7,280 yards as a Par 70. Although that seems long for a Par 70, the course sits well above sea level so it will play closer to 7,050-7,100 yards. The average drive for the field normally sits around 295 yards. In the last five years, the top ranked golfers who have played in the event haven’t finished inside the top 10. Fading the top ranked players in the field may be the play this week. Those top ranked players are Reed, Kevin Kisner, Phil Mickelson, and Bill Haas. One opinion on why the top golfers haven’t played well in this event is because they have already qualified for the British Open and will use this tournament to try some different shots than normal. We will not write him up in our picks, but if you want a sneaky play that will be very low owned, look at Bubba Watson. If he can’t get a good finish this week, he may be hanging it up soon. The field is so weak, Keegan is priced at $9,400. That will not stop us from playing him. Mr. Friday Sweat, as many DFS touts call him, has posted two straight top 10s including a fifth-place finish last week. Known as one of the worst putters on tour, Keegan is very close to having positive strokes gained putting. That’s huge for him. Keegan has seemed to find something in all aspects of his game after missing the cut at The Memorial as he climbed the ranks in all of our key stats since then. Although none of his stats will blow you away, he finished fourth here in 2014 and will look to better that this week. He will likely need a top 10 here to make the British Open so he has some added motivation (Top four players who aren’t already exempt who place T12 or better receive exemption). Webb Simpson is like Keegan in so many ways this week. For one, he needs to at least finish top 12 in the event to get to the British Open exemption. For two, he is really bad at putting. But, also like Keegan, has been improving lately. Webb has two top 10s in his last four events including a fifth at the Dean & Deluca. He has also reeled off three top 10s at the Greenbrier in his last five starts here. Webb has some good finishes this season and he has done it with his approaches. He ranks 13th in SG:App and he ranks 11th in approaches 100-125 yards. Webb has the game to win here but will need to find a hot putting stroke. O’Hair has cooled down after his fifth-place finish at the Byron Nelson and runner up at the Dean & Deluca the week after. He missed the cut at the U.S. Open and did not play the following two weeks. Sean’s last missed cut was The Players before he went on the hot run. We aren’t saying you can expect the same results, but we think he is a great play this week. Like our top tier plays, O’Hair is trending upward in the stat column despite the missed cut at the U.S. Open. If you look at his stats individually, he is a little above average in all of them. But if you look at them as a whole, he ranks in the top 15 in the field this week. Sean is very streaky and will be looking to finish strong this week and next at the John Deere. Gary Woodland ($7,500): Perfect course for Gary. Ranks 25th in T2G, 14th in App 125-150 yards, and 17th in Par 5 Scoring. Four straight made cuts and finished fourth here in 2011. Willy Wilcox ($6,900): Two straight made cuts after a WD. Positive in Strokes Gained across the board except putting. Putts well here and finished fouth in 2014. Scott Stallings ($6,400): Made four of his last five cuts after missing three in a row. Finished 20th in the Byron Nelson. Ranked 56th in SG:App and 27th in App 100-125 yards.